Produced by the Halifax Brief Therapy Centre, Leading From Behind is a free podcast devoted to the practice of solution focused therapy. In this episode of Leading From Behind, we continue with our general look at some of the many applications of solution focused practice. 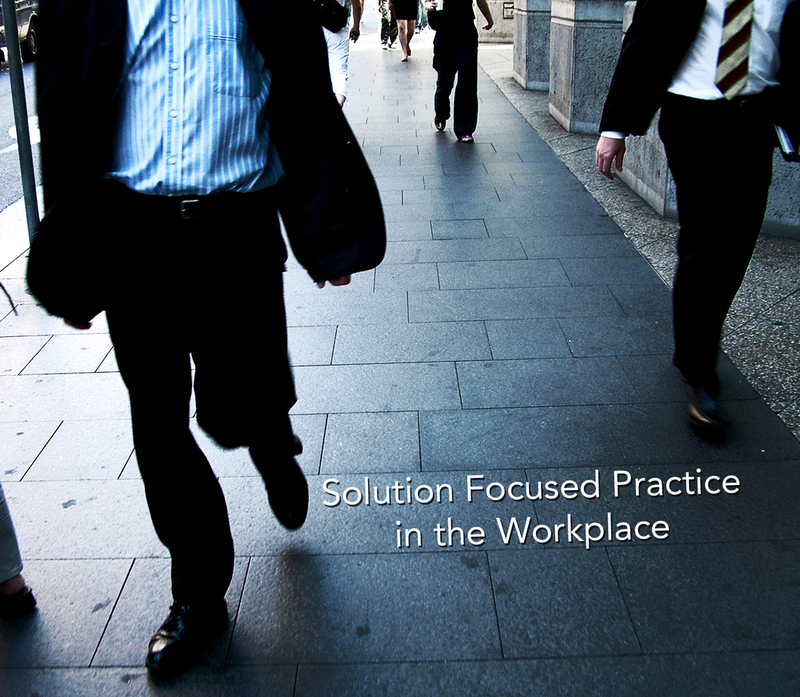 This time, we examine some of the ways that solution focused practice has become an increasing presence in the workplace. Solution focused practice in the workplace often takes the form of coaching - helping individuals, teams and organizations to achieve their best hopes in creating effective work environments. At the same time, there's an increasing role for training members of organizations to use solution focused practice as defined model of practice in the areas of leadership, planning and workplace relations. During this episode, we provide two examples of solution focused practice in the workplace - a case example of a coaching session with a manager and template for working with a team who want to strengthen their performance together.